TGIF! It’s time for some sweet family time on Friday! Having dessert makes you feel more chill and happy, don’t you agree? 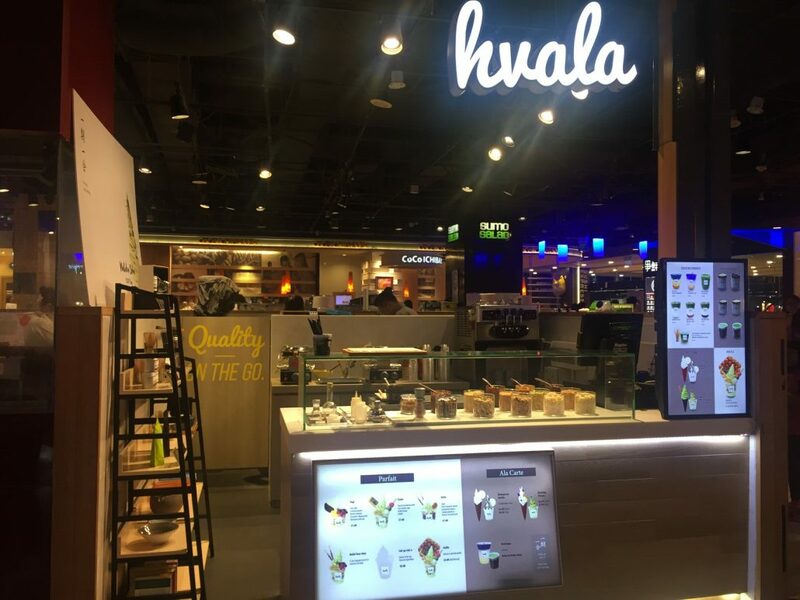 We are here at Hvala Waffle Bar, located at 313 Somerset B3. Hvala is quite a unique name and it actually has a meaning to it! ‘Hvala’ means ‘thank you’ in Croatia. Honestly, the menu wasn’t very well designed. It was pretty misleading on the first sight. We had no idea how to order, we felt like clowns asking how do we order and the lady just pass to us the menu. Feels a bit unwelcomed initially but subsequently she explained to us. 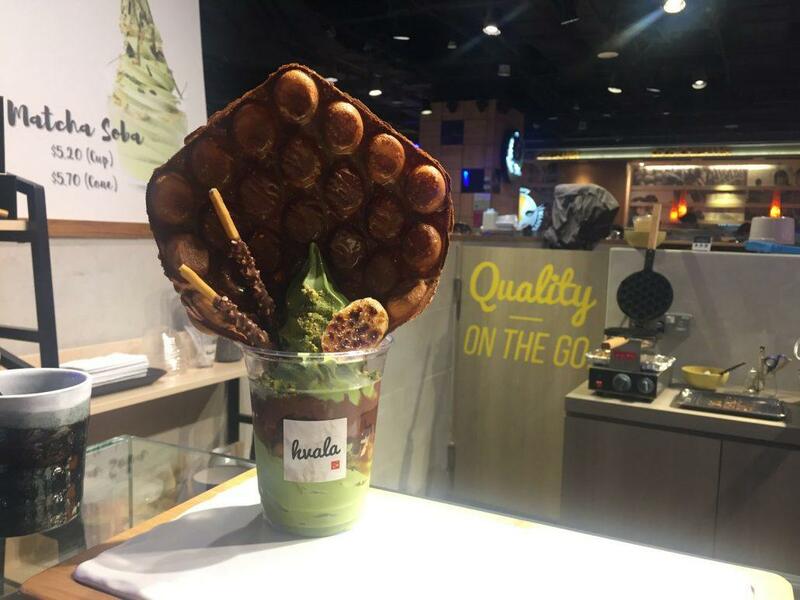 The egglet waffle known as the Puffle (menu: bottom right) is an add-on (+$3) to any of the parfait or soft serve. To have the complete set of soft serve parfait with Puffle, you need to first choose the parfait/ soft serve then add on the Puffle. Part two of our decision-making crisis. We also have difficulties in deciding which parfait as there are certain toppings in each creation that we don’t like. Sigh. I wish they allowed us to customise and choose our topping which they have it on their old menu. For example, 5 topping for a certain price like llaollao or other shops. Not sure why they changed it. 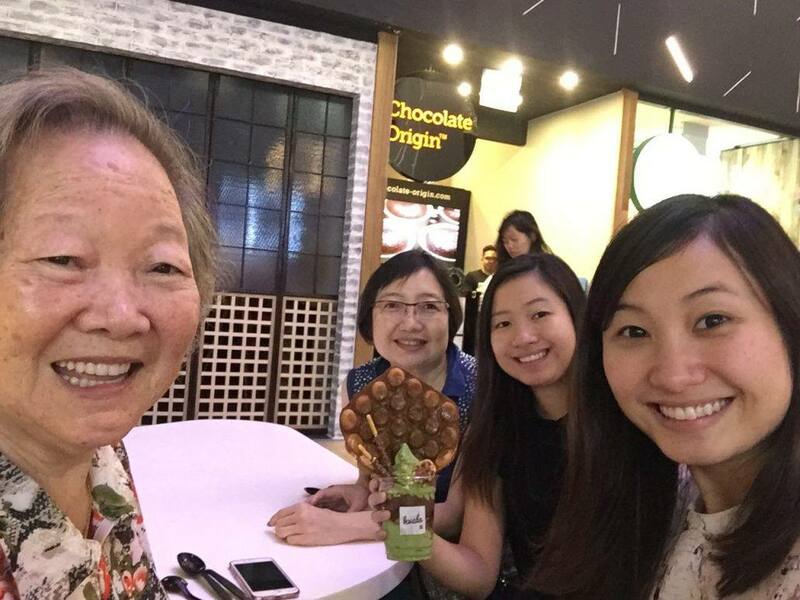 So finally, we decided to try the ‘Bella’ as the lady boss told us it is more popular and more chocolaty. But still, it contains azuki which I do not like and banana which Candyce doesn’t like. But it’s okay, let’s try it! 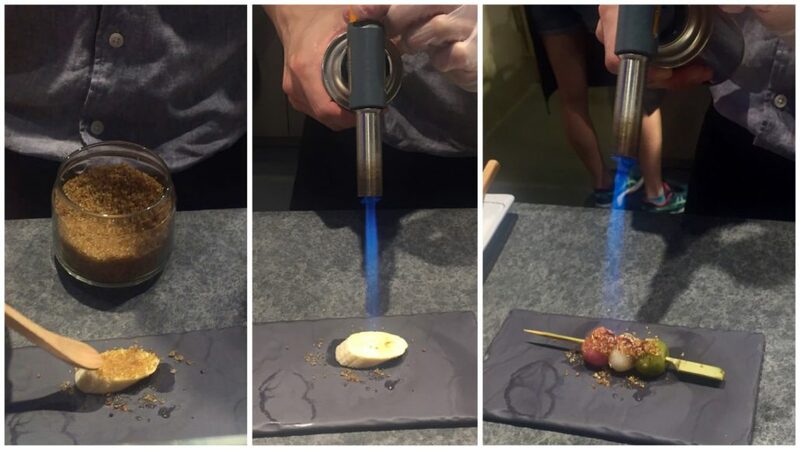 Toppings delicately prepared using the blowtorch! It took awhile before it was ready to serve! 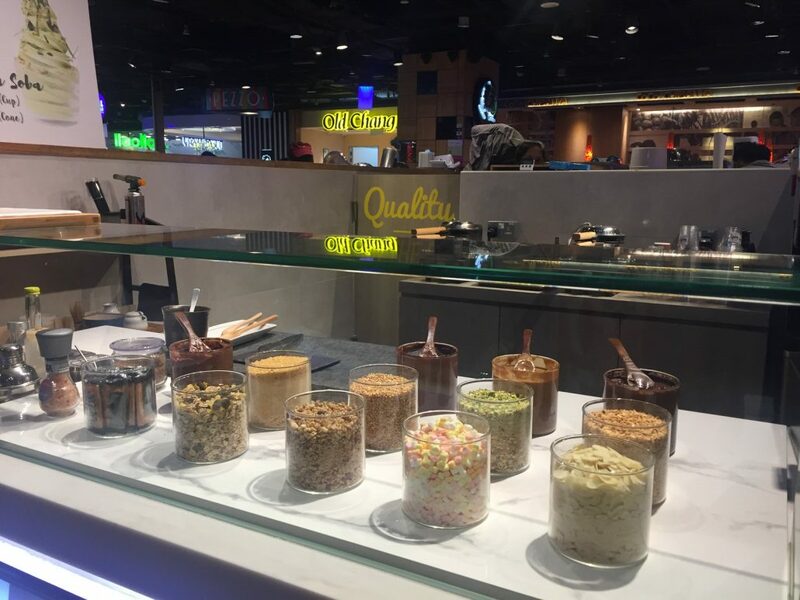 Belle Parfait ($7.80) has an assortment of vanilla/ green tea soft serve, azuki, peanut hazelnut spread, caramelised banana, crushed pistachio, and almond chocolate stick. And not forgetting the Puffle add-on ($3), which means the complete set of soft serve parfait with Puffle cost $10.80! Holding this Belle Parfait with Puffle (Egglet Waffle) feels dangerous, I was afraid it would topple! Super instagramable, it looks really good and we could see people peeping, eyeing and wowing at our ‘Hvala’ dessert! In dire need of a refreshing cold treat especially when the weather these days are so humid and hot! Can’t stand how cute this Popo of mine is! Who says dessert is only for youngsters! Popo is ready to eat! The Puffle (egglet waffle) was pretty good with a whiff of buttermilk fragrance! 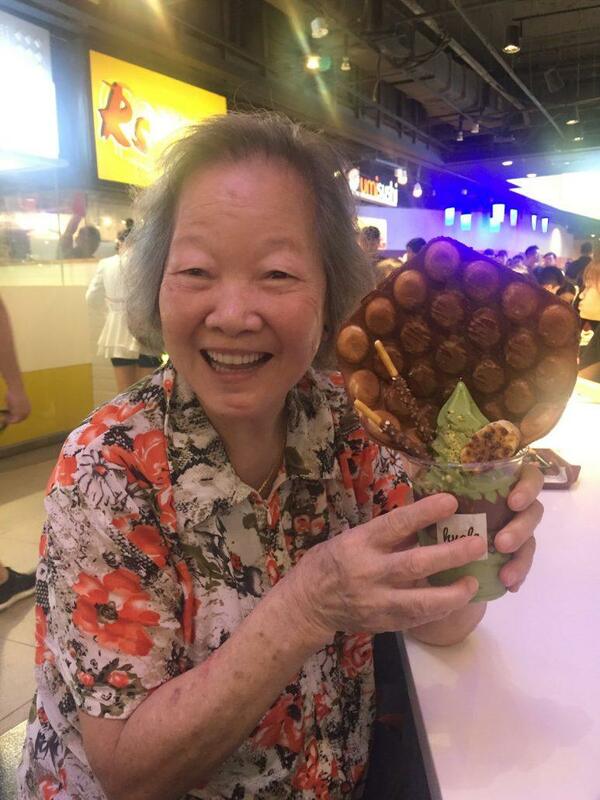 No need to go Hong Kong to eat egglets waffle, but will still buy it if I’m in Hong Kong cause it’s cheap and delicious! Back to the Puffle, it is not as hollow as the Hong Kong one but it meets the point of crisp on the outside and fluffy on the side kind of texture! 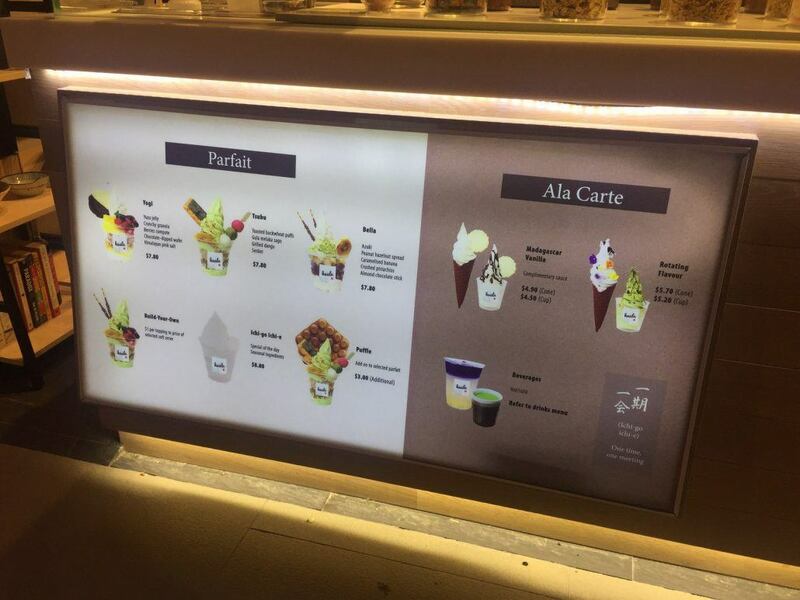 Oh, forget to say, after deciding which parfait creation, you can choose the flavour of soft serve: Vanilla or Green tea. And the sauce for Puffle: Chocolate, Maple Syrup, Nutella, Speculoos Cookie. 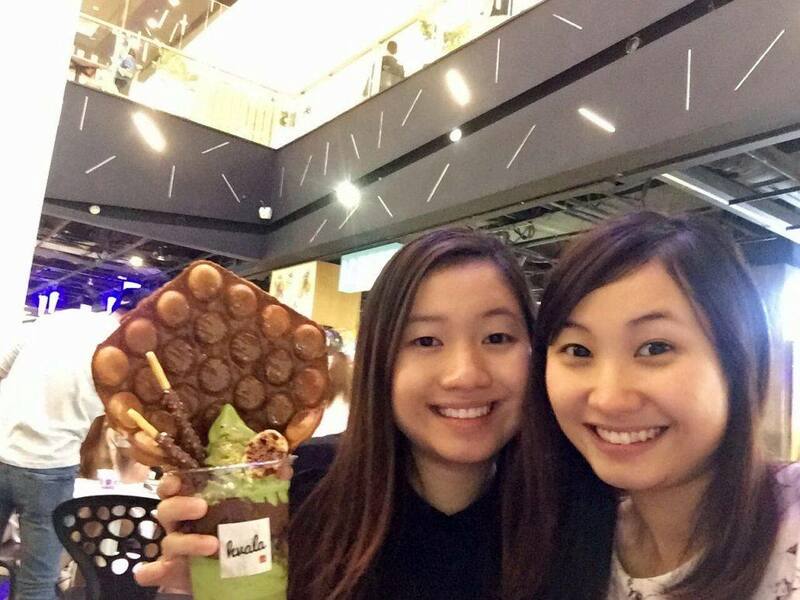 Our Choice was Green Tea Soft Serve and Puffle with Speculoos Cookie Sauce! The Speculoos Cookie Sauce obviously makes everything taste better! A bit messy when it comes to eating the Puffle with the soft serve! It’s either you bite it directly or using you hand to pluck and savour them one by one! The matcha soft serve was creamy, delivering a smooth taste with a slight bitterness, not overly sweet and doesn’t melts too quickly! Overall, taste not bad lah! Would recommend you to share if you are trying! Comment below and let me know how you find ‘Hvala’!